In 2017, when we began our planning for UXLibsIV, we didn’t explicitly set out to make the conference about inclusivity, but it certainly developed that way. As we worked on selecting keynotes and plenaries, the concept of creating an inclusive library environment, and indeed a conference environment, kept appearing and reappearing. We are very glad it did! 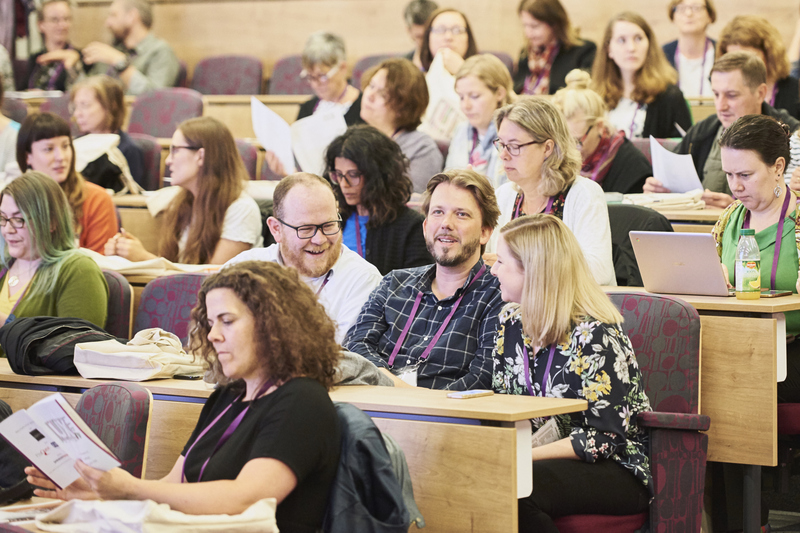 We were lucky enough to have a range of speakers presenting at Sheffield, both invited and through paper submissions, and it became clear that the library world needed to talk about creating a representative, supportive environment for all library users. Our keynotes set the tone for reminding us that inclusivity is more than trying to make a place welcoming. Christian Lauersen pointed out that diversity is being invited to the party, but inclusivity is being asked to dance. There is no point in creating an environment and service that we think is welcoming and supportive if we don’t engage with staff and users who aren’t represented in that environment or don’t feel included. Christian was very honest in relating how in the past his own personal perceptions of people of a certain race had been a negative stereotype. He talked about how he tries to invite everyone to dance now, but realises that he can always improve and is working hard to learn how. Sara Lerén, an inclusive designer in Sweden, talked about how we need to design for ‘extreme users’ to make the design accessible to everyone. She used an example of an accessible faucet that works for the people it was designed for i.e. those with arthritis, but also works better than other faucet designs for almost everyone else. She related this to library space and service design: if facilities and resources are designed for people with permanent cognitive difficulties, then it will make it easier for everyone using the same facilities/resources. Janine Bradbury is a researcher and academic in Higher Education, and she reminded us of how there are conflicting narratives on libraries as an inclusive place. On the one hand, BAME (Black and Minority Ethnic) people like Alice Walker have been excluded from libraries in the past, because of racist policies and laws. On the other, libraries are seen as emancipatory and enabling, a safe place, something that was key in Maya Angelou’s childhood language development. Janine told her own story of feeling both excluded by library space, but also intellectually empowered, depending on the environment and staff. As Janine says, libraries are not neutral or safe spaces, but she offered some guidance on how staff can work to making the environment feel safe and enabling for BAME users. Kit Heyam entertained and informed with his ‘Trans 101’ talk. He reminded us that trans user experience of libraries can be highly negative because of problems ranging from toilet signage to incorrect gender data on library systems, adding up to generate library anxiety and distress. Steps to remedy this are simple: keeping records up to date, making sure staff are educated, using gender-neutral pronouns with everyone who uses the library without making assumptions about an individual’s gender identity. Every speaker at UXLibsIV, whether invited or through submissions, taught us something new about what staff can do to make libraries a better, more diverse and supportive place. Each presenter has provided a write up of their paper for the User Experience in Libraries Yearbook 2018, and the message is clear throughout that we try, and will have to keep trying to do better. As organisers, we realised that while we tried our best to make UXLibs feel inclusive and safe, we still have work to do. We hope that for the next conference in June 2019, and for all future UXLibs conferences, we will keep working at making a supportive, inclusive and diverse conference environment.